We really enjoyed it, and we thank you a lot. We particularly mention the guide, Disho, who was very, very good! ​We just loved our safari! Disho was our guide on a birding safari in 2013. We have been on more than 20 birding tours overseas and Disho was one of the best guides that we have had. We have made 5 trips to Africa and I am familiar with the birds. He knew the birds and had an amazing capability to find them. He was an incredible tracker of mammals, finding barely visible leopard tracks in the trail road while driving the safari vehicle. While we were watching a herd of cape buffalo, he heard a the warning call of guinea fowl & took us to find a leopard up in a tree! He has an engaging personality and we thoroughly enjoyed the 2.5 weeks that we spent with him. ​We give him our enthusiastic recommendation! If you want to go on Safari, but don’t want to erect your own tent or stay in a Lodge. 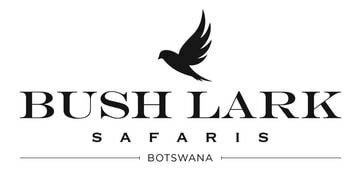 Then Bush Lark Safaris is the way to go to Botswana. Spending the night in a very comfy bed in a spacious en suite tent, listening to the sounds of the night is magical. Rise early for breakfast including filter coffee, toast and porridge before setting off for the day spent exploring with your Guide, finding birds and animals you have always dreamt of. Disho has a knowledge and unbound less enthusiasm, which is catching! A freshly cooked delicious dinner and drinks round the fire round of a perfect day. Book now. You will not be disappointed. I’m in love with this amazing continent, Africa. That’s why I’ve been traveling to Africa for the past 13 years. And I can say that Disho is the best guide I’ve ever had. We’ve been together in the Okavango Delta twice. He is so passionated and wise! Bostwana is his motherland and you can notice it in every word he says because he knows everything about wild life. The experience is always amazing and great because he is highly talented finding all kind of animal and birds under the right light. Which is not easy. And above of all he is a great person with a super nice and professional team that makes the experience even better. So believe me when I say thanks Disho for the best safari ever! I’ve been to Africa so many times that I cannot recall. I’m a wildlife photographer and Africa is my inspiration, my field. Getting to know Disho it’s been a great surprise and a blessing for my work. He is a master in wildlife and an incredible tracker. He is so enthusiastic about his work that he wants to provide the best experience to his guests. He knows a lot about photography that’s why his clients never miss the best shot. He gets closer and closer to animals sharing tons of respect and the position, the light is always great! He is more than a guide he is now a friend. Thanks Disho and Bush Lark safaris for a great time with tons of amazing pictures and laughts!